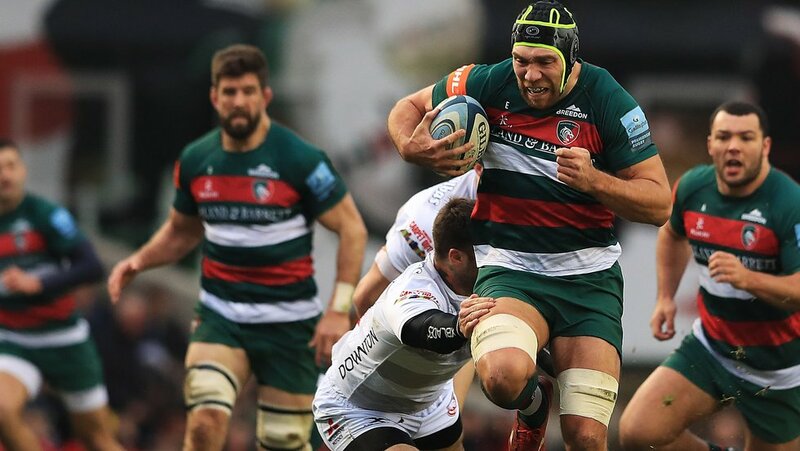 Leicester Tigers scored a second successive bonus-point win at Welford Road as they beat Gloucester Rugby 34-16 on Saturday. 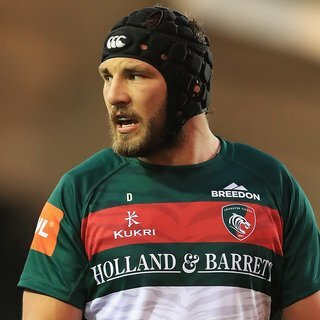 After a bonus-point win over Harlequins in the final home game of 2018, Tigers opened the doors on home ground for the first time in 2019 in the 223rd meeting with one of their oldest rivals. Jonny May’s ninth try of the season and eight points from the boot of George Ford gave Tigers a cracking start as they led 13-0 before Gloucester claimed their first points from the kicking tee and the home side still led 13-6 at the break. Jonah Holmes provided a vital score at the start of the second half, capitalising on some efficient work in possession across the field as the lead reached 20-6, but the visitors stayed in the hunt with a score from Gareth Evans until further scores from May and Ford in the middle portion of the second half finally put the Tigers out of reach . 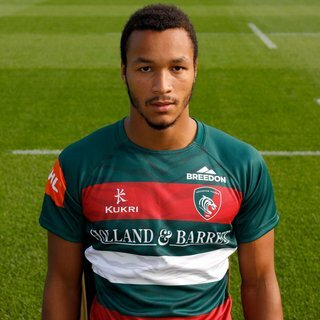 Owen Williams was among five former Leicester in the Gloucester ranks, while Tigers head coach Geordan Murphy brought Tatafu Polota-Nau, Will Evans and Mike Williams into the forward pack and welcomed back Greg Bateman from injury and Kyle Eastmond from a ban as the teams launched the second half of the league season. Gloucester boss Johan Ackermann made a late change to his line-up with Matt Banahan called up to replace Ollie Thorley on the wing and Tom Seabrook taking the vacant spot on the bench. Ford kicked off with Tigers facing the Robin Hood Stand end and within three minutes he put his side ahead with a penalty from the centre of the Gloucester 22 after a rampaging run from Graham Kitchener had been stopped illegally. Kitchener then disrupted lineout ball as the visitors gained their first attacking opportunity and they made a series of impressive charges through the forwards which were met with committed defence before referee Wayne Barnes awarded a penalty to Tigers on their own five-metre line. Ford then kicked Tigers into a promising position on the right as the game continued at a frenetic pace and, although Gloucester stood up in defence, they did give away scrum advantage with a knock-on in contact. The set-piece brought a penalty award but Tigers kept playing and eventually created space on the right for May to score against his former club. The skipper judged his conversion kick from the touchline to perfection to increase the lad to 10-0 with just over 10 minutes played. Although Tigers missed their man from an attacking lineout, aggressive defence kept the visitors pinned back and Williams had to clear left-footed from deep inside his own in-goal area. Polota-Nau had to leave the field on 128 minutes after taking a heavy knock early on and replacement Jake Kerr was immediately into the battle as he carried strongly in midfield and Gloucester were penalised again on the floor. Ford took on the kick from a central position just short of the 10-metrre line and made it 13-0 with the 100th successful penalty of his T9gers career. Referee Barnes raised his arm the other way from the restart and Billy Twelvetrees got Gloucester off the mark with the kick from 25 metres as play entered the second quarter. Two impressive carries from Kitchener in a flowing move looked promising for Tigers, but he then lost control of the ball just 15 metres out and the visitors gladly cleared upfield. Tigers were good value for the lead at that point, but Gloucester showed their desire to attack from deep whenever they could win turnover ball. One such opportunity gave Williams the chance to hammer a penalty down into Tigers territory on the Gloucester right but they could not make any further progress. Kerr ended their next threatening attack as he got over breakdown ball and earned a penalty on his own 22-metre line. Mike Williams gave Tigers some go-forward in the centre of the field but ball broke loose and play restarted with a Gloucester scrum and they worked hard up front to take play up to Tigers territory before eventually being held up over the line as Genge blocked No8 Ben Morgan. Play came back for a penalty in front of the posts and Twelvetrees kicked it to bring the score to 13-6 with half-time just moments away. 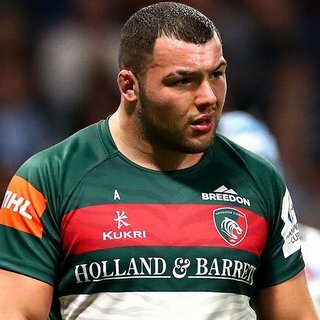 Gloucester went to attack from deep as the second half restarted without any changes to the line-ups, but an ambitious ball in midfield brought only a knock-on and Tigers had put-in at the first set-piece of the period. The breakthrough came just three minutes later as Tigers recycled ball quickly and Holmes read a perfect line on to an inside pass from Toomua to score to the left of the posts. Ford added the extras to make it 20-6 on 46 minutes. Olowofela, though, had to look sharp in defence as Sharples threatened following good work on the ball from skipper Morgan. Sharples tried again through the middle as Gloucester looked to break free but Ford followed him and brought him down still 40 metres out and when the Gloucester wing went from deep inside his own half moments later, the covering defence closed in and forced an error to have put-in at another scrum. Eastmond was re-introduced to the action as Toomua left the field, but it was the visitors who enjoyed cleaner possession as they looked to fight their way back into the game from 14 points down. But their ambition proved their failing on 53 minutes when a mix-up in midfield gave Tigers ball and Eastmond quickly combined with Ben Youngs to send May clear for his second try of the day and double figures for the season. But Gloucester replied in an instant with flanker Gareth Evans breaking clear from 20 metres out to dive in next to the posts and Twelvetrees chipped the extras to bring it back to 27-13. An ankle tap from Kalamafoni prevented a repeat from Evans before \Kitchener read an offload to regain ball in defence. But Gloucester kept coming as the pace increased again. Twelvetrees chipped away at the deficit with a penalty on the hour to make it 27-16, with Tigers welcoming back Bateman on the restart. May made a timely interceptyion in defence and must have thought he was on to a hat-trick as he broke clear. But Gloucester raced back and, although he was stopped 340 metres outm, Tigers retained ball until Ford wriggled free of the last tackler on the right to dive in for a bonus-point score. The England fly-half calmly added the conversion as the score reached 34-16. Play continued to flow from end to end as Gloucester set up a lineout drive in the right-hand corner. Tigers, though, wrapped up their drive and were rewarded with a scrum put-in as the clock approached the final 10 minutes of an entertaining encounter. A strong scrum brought a penalty on halfway and Ford had little hesitation in taking play up to the left-hand corner. The forwards claimed good ball as they kept play near the tryline until Holmes and Tuilagi threatened out wide. There was no way though, however, but it was Gloucester’s turn to find it hard to break out. After patience in attack through the forwards, Olowofela dived in on the left to dot down one-handed. But, with Tigers expecting the try award, referee Barnes said no after checking with the Television Match Official. Play came back and restarted with a Gloucester scrum five metres out but hat was the final opportunity as Tigers closed out the win. Thanks to all who made the trip to Welford Road for today's Gallagher Premiership fixture. Today's attendance was 20,329 as Tigers start the new year off with a win. A safe journey home to all. Wayne Barnes blows the final whistle at Welford Road and Tigers remain undefeated in 2019! Into the final minute of the game and the Welford Road crowd playing their part. The ball is where Tigers want it as they continue to press the Gloucester defence from the scrum. Gloucester finally manage to get clear with a kick, but Tigers win the line-out and advance back into the Gloucester half. Jordan Olowofela's try is not given by the TMO and the play is brought back for a knock-on on the Gloucester five metre line. 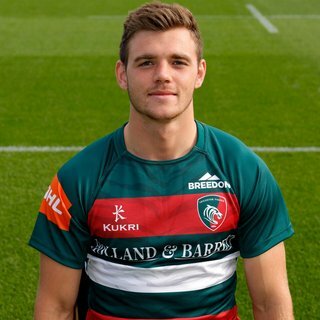 Tigers have the ball deep in the Tigers half with Ben White and George Ford orchestrating things, The balls is worked wide to Jordan Olowofela who touches down in the left corner. Tigers heave forward in the scrum and it proves to powerful for Gloucester as they are penalised for collapsing the scrum. George Ford kicks the ball into touch and Tigers back near the Gloucester five metre line. Gloucester manage to break the Tigers line as Henry Trinder is pulled back for a forward pass. Tigers have the ball deep in the Gloucester half as they look to extend their lead. Ben White in the thick of the action with George Ford pulling the strings. Gloucester penned in their own 22 at the moment and Manu with another huge hit! Gloucester attempt the box kick but Harry Wells charges it down, Tigers have the ball and find Olowofela out wide but he's held up. A great period of possession for Tigers. 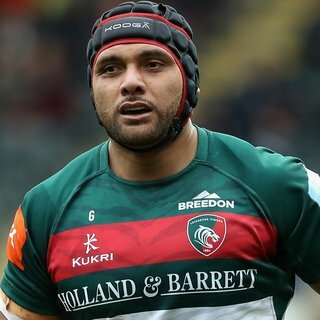 Manu Tuilagi with a huge hit for Tigers! The ball continues to move across the field of play with Gloucester in possession. Joe Heyes replaces Dan Cole to a huge reception from the Welford Road crowd. Harry Wells replaces Mike Williams for Tigers in the second row. 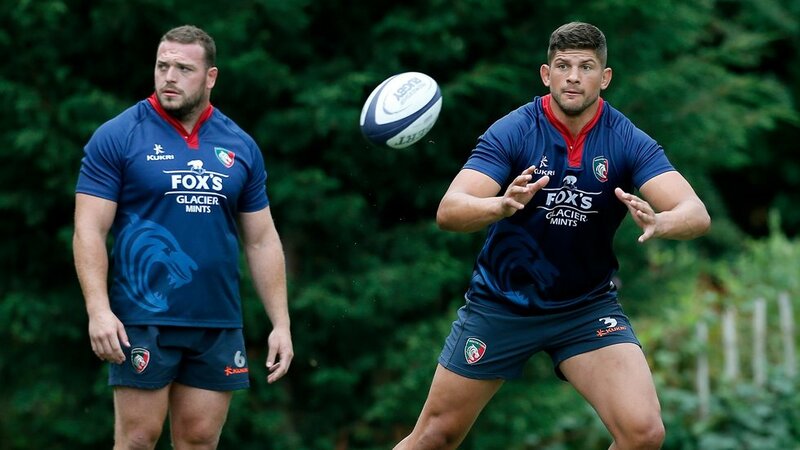 Ben Youngs and Jonah Holmes make way for Ben White and George Worth for Leicester Tigers. Business as usual for Fordy as he kicks from under the posts and Tigers now lead by 34 points to Gloucester's 16 with 64 minutes played. It's George Ford who finds the space for himself with a dummy and step to go over the line and extend Tigers lead. 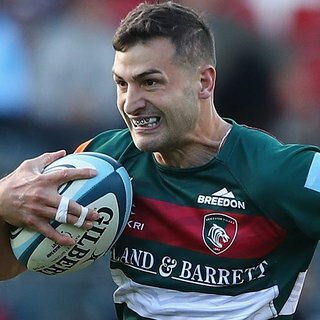 Jonny May led a huge break from his own half, before being held up. Tigers lead 32 - 16. It's a successful kick for Billy Twelvetrees as Gloucester narrow the gap following a penalty kick. 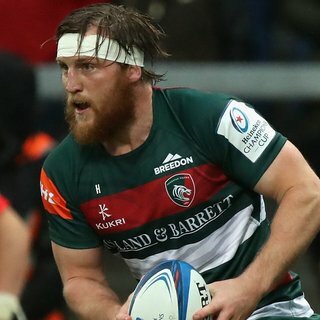 Tigers 27 - 16 Gloucester with just over an hour played. Genge makes way for Greg Bateman in the front row for Tigers. Both teams are battling for possession of the ball, flying into a few challanges, but Wayne Barnes penalises Tigers for not releasing in the breakdown. Gloucester back at Tigers from the restart and move the ball into the Tigers half, following a penalty advantage, Tigers come away with the ball through Jonny May, who runs across his the field before releasing Eastmond who finds Ben Youngs. Youngs breaks the line, but his pass is just in front of Jordan Olowofela! So unlucky. 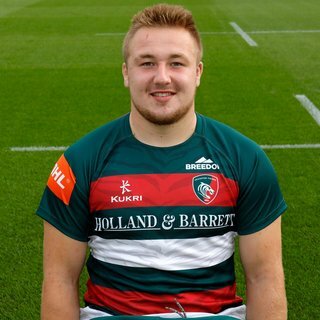 Brendon O'Connor makes way for Will Evans for Tigers in the back row. Owen Williams kicks the conversion as Gloucester narrow the gap. An end to end couple of minutes here at Welford Road! Gloucester come back at Tigers straight away and it's Gareth Evans who breaks the Tigers line and goes in under the posts. Tigers 27-11. George Ford adds the extras from right under the posts and Tigers lead 27-6 after 55 minutes. Both teams are punished with successive penalties and it's Gloucester who clear the ball following a Tigers player playing a man without the ball. Gloucester advance, but it's another knock on by Gloucester and Ben Youngs readies the scrum. Kyle Eastmond makes his return to the pitch since he was last involved against Brsitol. He replaces Matt Toomua in the Tigers midfield. Tigers under the kosh from the restart and Gloucester find Charlie Sharples on the right flank, but Jordan Olowofela does enough for Tigers and finds touch. Tigers clear from the line-out but Gloucester come back at Tigers, but it's knocked on Gloucester's Jaco Visagie and we have another scrum. Tigers lead 20 points to Gloucester's six after 43 minutes following a Jonah Holmes try and successful George Ford kick. Tigers make a fantastic start to the second half! Tigers come out with the ball from the scrum and Ben Youngs finds Ford who releases Jonah Holmes. Tigers are held up and after a few further phases and move the ball, Toomua finds space and offloads to Jonah Holmes for a Tigers try! Wayne Barnes spots a knock in the Gloucester midfield and it's scrum time again. The Tigers defence hold firm and Ben Youngs finds George Ford, before Jonah Holmes stretches his legs into the Gloucester half. He;s held up and Wayne Barnes blows for half time at Tigers lead at the break 13 - 6. We're into the final minute of the first half and Gloucester advance into the Tigers half down their left flank. The play is pulled back for a Gloucester penalty for not rolling away and Billy Twelvetrees kicks the goal for the cherry and whites to make the scores 13-6 as we near half-time at Welford Road. Both teams exchange kicks to gain territory and Tigers advance with the ball in hand. The Tigers forwards are working hard at the breakdown to keep the ball alive, but it's lost by Sione Kalamafoni and Gloucester come back at Tigers. The Tigers defence holds firm on their own 22, before the ref spots a penalty advantage. Both teams battle for possession in the middle of the park and Wayne Barnes spots a knock on against Mike Williams. The boys set for the Gloucester scrum. Gloucester going through the phases and working the Tigers defence. The ball breaks for Jake Kerr who nudges the ball up field bu Gloucester come back. Gloucester break the line, but Jake Kerr does enough in the breakdown at the next phase to win the turnover. Tigers penalty for the ball carrier not releasing and Fordy clears for Tigers. Prop Dan Cole chases Gloucester's Tom Hudson as Tigers have a man-over, but he holds on and wins the ball back for Tigers. Fordy clears a penalty into touch and the line-out leads to a penalty for Gloucester in their own half. Owen William's clears and the teams get set for the line-out. Tigers come back at Gloucester with some hard running from the Tigers midfield. Holmes is tackled in the middle of the park and loses the ball, which falls to Gloucester who clear into touch. Tigers line-out is won by Tigers and Manu Tuilagi is released before being tackled. Ben Youngs with the box kick and Tigers win the ball back in the Gloucester half. Gloucester's Owen Wiliams pumps the ball into the Tigers half and Tigers are penalised for not releasing at the breakdown. Billy Twelvetrees with the chance to get Gloucester up and running.. and he kicks over the make the scores 13-3 with over twenty minutes played. George Ford kicks his third of the afternoon for Tigers following a penalty advantage and Tigers lead by 13-0 after 20 minutes of play. Another Tigers penalty for an 'off feet' call from Wayne Barnes and George Ford will attempt to kick to goal from around 40 metres out. Jake Kerr comes on for Tatafu Polota-Nau in the front row for Tigers. Tigers lose the line-out and it's with Gloucester who clear their lines. Tatafu Polota-Nau with the line-out and Tigers win in the air. Ben Youngs keeps the ball moving and finds Jonah Holmes, but the ball is lost in a collision and Gloucester sweep up and kick to clear the ball back into the Tigers half. Tigers now advancing towards the Gloucester 22, and are awarded another penalty advantage. Ford finds touch and the noise levels turn up again at Welford Road. No mistake from George Ford who extends Tigers lead to 10 points to nil. Jonny May finds space out on the left flank and flies over the line in the Gloucester corner to extend Tigers lead after 11 minutes. Ben Youngs feeds the ball into the Tigers pack and the shouts of 'HEAVE' echo around Welford Road. Tigers get the penalty advantage and work the ball to Jordon Olowofela on the left flank, He's held up and the ball moves right across the field after some great work from the Tigers midfield...and Jonny May is in space! Tigers having a lot of the play at the moment moving across the field and back. Second row Mike Fitzgerald tries to break the line with a direct line, but is held up and Gloucester knock the ball on in the tackle for the game's first scrum! Tigers have the ball following the line-out and the referee spots another penalty for Tigers which George Ford kicks out of his hands deep into the Gloucester right flank. Tigers lose the line-out and Gloucester have the ball on the Tigers five metre line, but referee Wayne Barnes spots a 'off feet' penalty and Tigers with a chance to clear. Gloucester come back at Tigers from the restart and win a line-out on the Tigers 22. The ball is thrown in and Tigers are straight at Gloucester. Dan Cole with a huge hit as the Tigers defence move up the pitch with Gloucester still with the ball. George Ford does the business from the boot and Tigers lead with two minutes gone 3-0 following a penalty for the tackler not releasing. Tigers win a penalty for the tackler not releasing and a chance for George Ford to kick Tigers first points of 2019 from right in front of the posts. George Ford gets us underway with a high kick into the Gloucester half. Gloucester sweep up and launch the ball back up field but it's caught by Holmes who is tackled before the start of a new phase. The music blares out and George Ford leads out Tigers to a noisy Welford Road. Tigers will kick us off after winning the toss playing towards the Robin Hood Stand. Both teams make their way into the changing rooms and the noise around Welford Road turns up a notch. The last time the cherry and whites won at Welford Road was October 2017. There's less than 10 minutes until kick-off here at Welford Road and the teams are going through their final preparations. The crowds are taking their places as we countdown to Tigers' first home game of 2019. Players from both sides have made their way out on to the Welford Road pitch and, with just over half an hour left until kick-off, both teams will begin their warm-ups shortly. Ahead of kick-off, you can read today's Match Preview online here. Geordan Murphy has made no changes to the side named on Friday afternoon, with Mike Williams and Will Evans promoted to the starting side and Greg Bateman and Kyle Eastmond in line to make their much anticipated returns from the bench. Well, here we are ... back home at Welford Road for the first home game of the 2019 season and it's our old rivals, Gloucester who we host in what will be the 223rd meeting between the clubs. 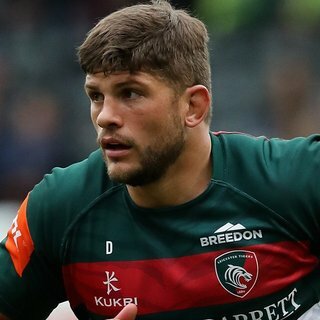 Will Evans and Mike Williams return to the Leicester Tigers forward pack for Saturday’s home game against Gloucester Rugby in Round 12 of the Gallagher Premiership season. Head coach Geordan Murphy names Evans and Williams in the back row, with Mike Fitzgerald moving into the second row alongside Graham Kitchener. There is also a change in the backline where Jordan Olowofela returns on the wing, with Jonah Holmes reverting to the full-back spot. Greg Bateman returns from injury to take his place among the replacements, and there is a place for Kyle Eastmond after serving a ban. Head coach Murphy said: “It’s good to have Greg and Kyle back available to play this week and give us extra options in the squad. 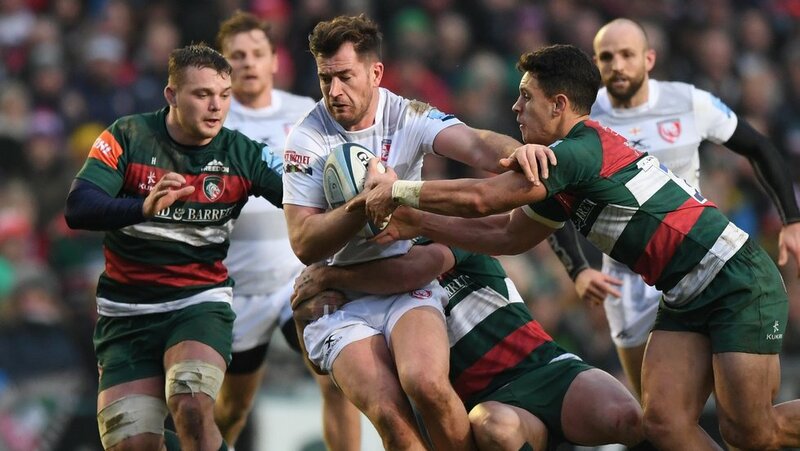 Leicester Tigers kick off the second half of the Gallagher Premiership season and a new year at Welford Road against Gloucester Rugby this afternoon (3.00pm). After a bonus-point win over Harlequins in the final home game of 2018, Tigers open the doors at Welford Road for the first time in 2019 against one of their oldest rivals. In 222 previous meetings, it is Gloucester who lead the win count 108-106, including the last two meetings at their Kingsholm stadium last February and in November. In team news announced on Friday, Will Evans and Mike Williams are added to the Tigers forward pack, while Greg Bateman and Kyle Eastmond return to the matchday squad. Gloucester include former Tigers quartet Owen Williams, Fraser Balmain, Tom Hudson and Billy Twelvetrees in their starting line-up with former Tigers captain Ed Slater among the replacements this week. Gloucester wing Charlie Sharples is the Premiership’s top tryscorer so far with nine in the opening 11 rounds and Jonny May, who started his career at Kingsholm before moving to Tigers in 2016, has seven in his nine games so far. Match referee is Wayne Barnes, Premiership rugby’s most experienced official. Click here for the matchday guide. Kick-off is at 3.00pm and tickets are available now. Book in person at Welford Road or phone 0116 319 8888 (open from 9.00am on matchday) on online any time.